It’s Almost Unbelievable How Easy Is To Make This Peephole Shoulder Crop Top! Beautifully shaped, this blanket pattern is quick and easy after you get the hang of the first few rows. 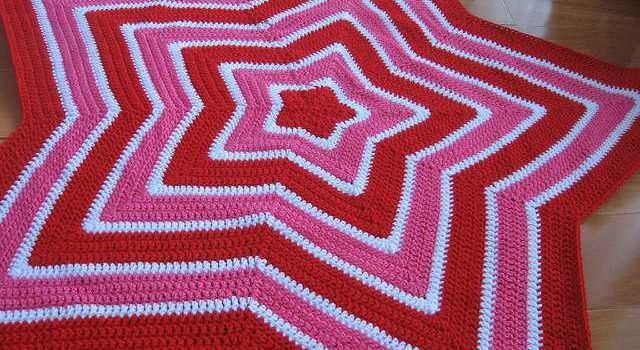 This star blanket pattern has a real wow factor and creates a lovely, soft baby sized afghan when finished. 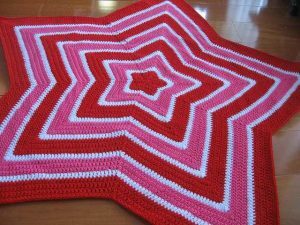 Gorgeous, quick, and easy, Chromium Star Blanket by Laura Lynn Hanks is such a great way to turn some (extra) yarn into a very beautiful baby blanket. This fabulous blanket will make a fabulous present for anyone. Thanks to Laura Lynn Hanks for the article inspiration and featured image. Laney Ann Jones this would look great in my family room! Tinamarie Marin show your mom this one. This one made me think of your gorgeous xmas blanket. Turns out great! Neat pattern!! You are so talented girlfriend.